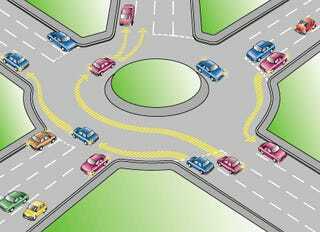 Roundabouts are hilarious, and all the taxi drivers seem hell bent on taking them at speed. I see where the idea for chicanes came from. And all the roads are curvy and slippery; I'd Darwin myself in a car pretty quick out here. More rambling below. There's always some motor race on TV. The day before they were showing some FIA GT race, yesterday it was Superbikes, today BTCC. Some TV ad voiceover guy sounds like the Geico gecko, but the ads aren't for insurance. Whoa. Haven't seen a Lotus here yet. Surprised. Brands Hatch isn't that far away; I might head over to take a look, if only to get some non-hotel food and fresh air.